A perfectly sculpted and healthy looking hedge is sure to be the centrepiece of any garden but it takes regular care and maintenance to keep it looking good. Our highly skilled hedging and pruning professionals will use their expertise to remove dead, dying or diseased parts to help it grow into a bushy, dense and beautiful plant that will be the envy of the neighbourhood. Don’t put up with an ugly crooked hedge your tried to hack at yourself! Let Jim’s Mowing give your hedge the professional attention it deserves. Knowing exactly when and how to prune is important when it comes to keeping plants healthy. Although different types of plants and trees require different types of pruning, all require thinning out and heading back to encourage new growth. Heading back can improve the shape of a plant or tree and help to rejuvenate shrubs that flower poorly. Thinning tree and shrub branches is beneficial as it allows more sunlight and air to reach the centre of the plant, resulting in fewer disease problems. 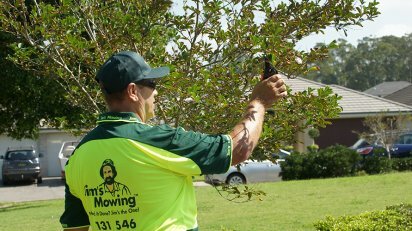 Based on the types of plants and trees in your garden, your Jim’s Mowing will assess your pruning and trimming needs. If you have larger trees on your property that need attention, we can also call in an arborist or tree specialist on your behalf. 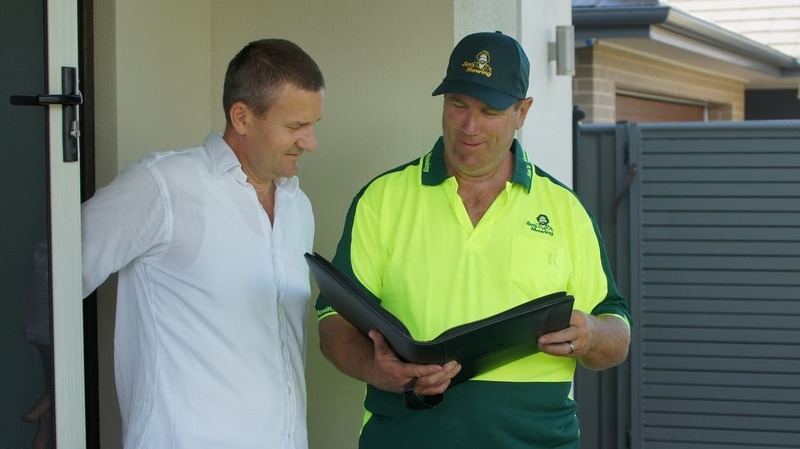 Call 131 456 today or Book Online for Jim’s Mowing to inspect the job and provide a free obligation quote at your convenience.